The ship-museum had been under repairs since September 2014. Russia’s President Vladimir Putin visited the Aurora cruiser, which had returned to its dock in St. Petersburg after big repairs. The president visited the upper deck and the radio cabin. The Aurora cruiser, which had been under repairs at the Kronstadt marine plant since September 2014, was handed back to the Russian Navy on July 29. 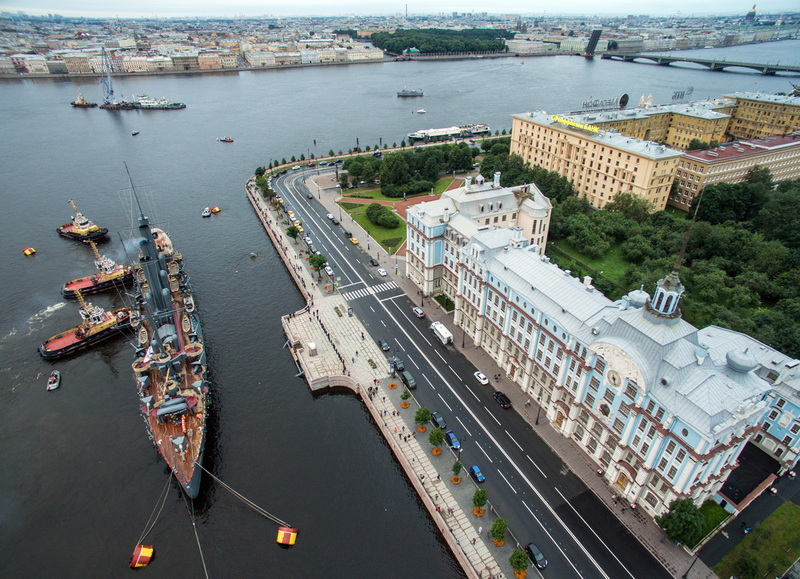 The renovation works are estimated to cost around 840 million rubles (approximately $13.2 million). The cruiser got a new renovated hull, a state-of-the art homemade fire-extinguishing system and 52 new video surveillance cameras, which practically exclude any unnoticed penetration on board the ship. The Aurora, one of the most popular tourist attractions in St. Petersburg, came into service with the Russian Navy in 1903. It covered more than 100,000 miles and took part in three wars. In Soviet days, it was believed that an Aurora salvo had signaled the start of an armed uprising on October 25, 1917 (the Great October Socialist Revolution). The cruiser was badly damaged during the defense of Leningrad (now St. Petersburg) during the Great Patriotic War against fascist Germany in 1941-1945. The ship was repaired and moored at Petrogradzklaya Embankment in 1948. Before 1956, the Aurora was a training base for the students of the Nakhimov Naval School located in St. Petersburg. The St. Andrew flag of the Russian Navy went up on the Aurora in 1992. It is ship number one in the Russian Navy.